Growing cannabis indoors requires a lot of energy. It‘s not just about the monthly bill of the grower, but taken all together, cannabis cultivation uses up about 1% of the total US electricity - equal to the emissions of 3 million cars. Our beloved green herb is not so green after all. At least, when you look at the environmental impact of indoor cultivation. Considering the energy input it takes to make the plants happy, it shouldn‘t come as a surprise that one kilogram of bud produces 3 tonnes of CO2. Quite massive, specially when you consider the financial costs associated with this. It has been calculated that the production and distribution of all that weed costs about 5 billion dollars per year - and that‘s for the US alone. Growing cannabis indoors obviously isn‘t something that we have been doing for a long time, in fact, it‘s a very recent development that has been largely driven by prohibition. Simply because it‘s too difficult to hide larger grows in a field or forest, the production has been moved inside, where it‘s much easier to keep it hidden away. Exactly because of the secrecy of the operations and illegal status, it‘s been very difficult to quantify the impact of the grows. Only now, numbers are becoming available. As cannabis reforms sweep the globe, cannabis cultivation is becoming an even larger industry than it was during it‘s illegal days. More and more permitted and legal large scale grows are sprouting up, consuming ever increasing quantities of energy; not to mention the fact that legalisation and decriminalisation allows medical patients to lawfully run their own grow rooms for personal use in various countries and states. The effects can be easily seen in geographical areas where large scale cannabis cultivations are known to happen. An example of this is in Humboldt County in California. Since the cultivation of medical cannabis was legalised in 1996, Humboldt County has seen a 50 percent increase in residential energy use per-capita in comparison to other areas. 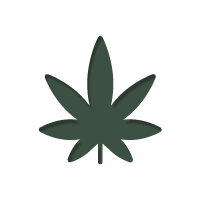 In California alone, over 400,000 individuals are authorised to grow cannabis, and that number is steadily increasing. Based on the growing number of consumers, it was estimated that 17,000 metric tons of cannabis were produced in 2011 in California, a third of which was grown indoors. This number will have only increased with the current spread of cannabis tolerance, decimalisation and legalisation. It makes cannabis the US’s largest crop by value. Indoor cannabis grow rooms, especially professional ones, harness a lot of power hungry equipment in order to enhance yields and keep things running smoothly. They require high intensity lighting, humidifiers and de-humidifiers, advanced ventilation, heaters and temperature control, carbon dioxide emitters, irrigation systems, odour control, air conditioning to remove waste heat, and additional power generators to keep electricity bills looking normal (in the case of illegal setups). Of course, not all grow rooms have all of this equipment, but it is not an uncommon sight for advanced labs and professional growers. Based on these factors, a small 1.2 x 1.2 x 2.4m grow area will consume 13,000 KWh of electricity a year. When you consider that many professional grows can easily have 10 times more space, costs add up, both financially and environmentally. It is estimated that across the US, the amount of energy used to grow cannabis indoors (including electricity stolen from the grid) equates to 20 terawatts a year – around 1 percent of the nation’s electricity use, and enough to power 20 million homes. This produces 17 million metric tons of carbon dioxide a year in the US alone – the equivalent to running 3 million average American cars for a year. Breaking down these numbers into a single joint is quite revealing. One joint made from indoor grown cannabis in the US has caused 1kg of carbon dioxide emissions, the equivalent to running a 100 watt light bulb for 17 hours. Producing one kilogram of indoor grown cannabis creates 3,000 kilograms of carbon dioxide emissions, the equivalent to driving across America 5 times on a 44 mpg car. One grow area of 1.2 x 1.2 x 2.4m doubles the electricity use of the average US home, and triples it in California – the equivalent to running 30 refrigerators. It is also worth noting that the energy costs and carbon dioxide emissions required to produce the fertilisers, water, equipment and building materials used in a cannabis grow room are not taken into account in any of these calculations. The great majority of these costs and emissions can be reduced by up to 75 percent. Very little consideration is put into the costs of running a grow room when it is being conceived, and more emphasis is put on security and privacy, at the expense of energy efficiency. If practices similar to those seen in commercial greenhouses were applied to indoor cannabis grow rooms, energy usage could be greatly reduced. For large scale operations, serious energy planning could result quickly in savings north of 25,000 dollars a year, and a drastic cut to carbon emissions. However, the best practice and most elegant solution is also the simplest; just grow it in the fields again. The shift of cannabis cultivation from indoors to outdoors can eliminate pretty much all running costs altogether (excluding the costs of transportation). Plus, since cannabis binds CO2, the process could become entirely CO2 neutral. Obviously, there are good arguments to be made for indoor cultivation, such as climate control and harvest frequency. But on the other hand, with good planning, massive amounts can be harvested causing very little financial and environmental cost. It is a worthy option to consider, especially if you live within a climate that is well suited to the natural growth of cannabis. Legal operations could see great savings as well as reduce their environmental impact drastically by growing outdoors, and could lay the foundation for much wider and ecological cultivation. With the rate the cannabis industry is growing, it is within all of our interests to consider the hidden costs of growing cannabis indoors. Acting to minimise energy loss can go a long way to making cannabis cultivation much more sustainable.